Ways of Wisdom is the second stand alone sequel of the groundbreaking trilogy Way of The Heart. In this book the reader is guided on a journey into the mystery hidden deep within all of us. It takes the reader from the first glimpses of a reality behind the veil, through the state of awakening, into the dark night of the soul and, finally, towards the inner clarity experienced by the master. 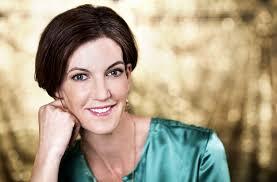 Ways of Wisdom is a captivating and profoundly personal book about the search for the meaning of life. It allows for the obscure and the unknown, as well as the things we know for sure, but can neither grasp, nor fully understand. The author’s bold promise, is that the premises of your being is so much grander than you think. That there are rooms you still haven’t discovered, just waiting for you to step in. 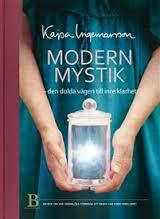 With a modern twist on ancient wisdom and traditions, Kajsa Ingemarsson, who refers to herself as a modern mystic, in Ways of Wisdom take yet another step forward as a representative for the new human in search for answers beyond clichés and quick fix solutions. Her humble and simple ways show us, with generously given examples from her own life, how it is possible to gain clarity by daring to trust your inner knowledge. Ways of Wisdom – Exploring the human potential beyond facts and figures is an enthralling, illuminating and highly inspiring book about the mystery of life, and the search for a deeper meaning. The book is illustrated with the authors own captivating photos offering a glimpse of the mystery, the beauty and the great unknown.